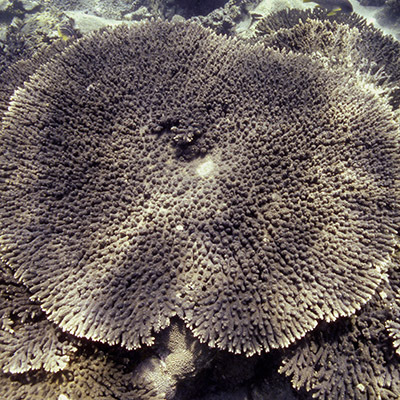 Size: The Bubble-tip Anemone may reach up to 30 cm in diameter. Entacmaea quadricolor occurs at a wide range of depths, usually among corals or in the vicinity of coral assemblages. Large adult individuals are mostly solitary while smaller juveniles often occur in groups. 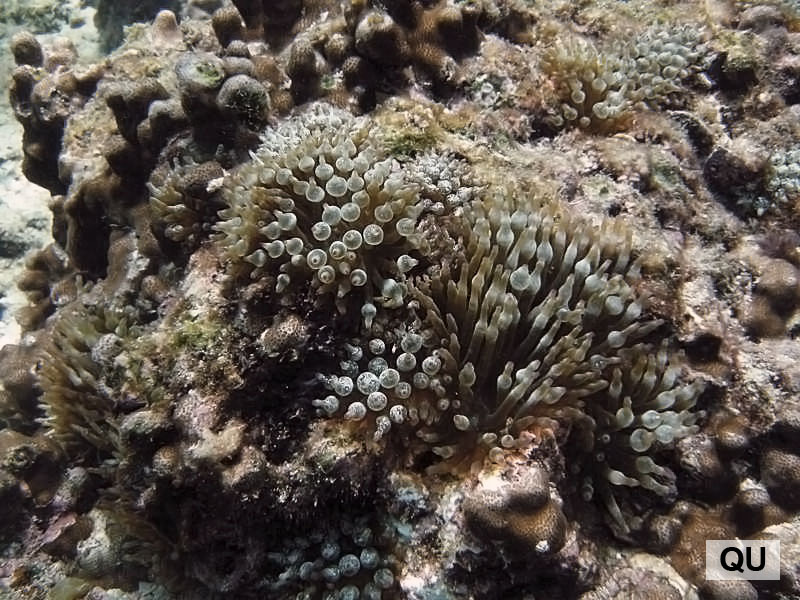 Like most tropical sea anemones they obtain the majority of their energy from solar radiation via symbiotic algae in their tissue, so called zooxanthellae. Additional prey is caught using the tentacles. In the Arabian Gulf, the species provides shelter to the symbiotic Clownfish Amphiprion clarkii. Entacmaea quadricolor is widespread throughout the tropical Indo-Pacific including the Arabian Gulf. This species has not yet been assessed for the IUCN Red List. In deeper waters with reduced light conditions, large adult specimens of Entacmaea quadricolor have streaming or stringy tentacles, while juveniles living closer to the surface in brighter sunlight tend to show the bulbous tips on their tentacles that earned them their common name Bubble-tip Anemone. Young individuals have about 20 tentacles, and their numbers increase with age. Coloration varies greatly, ranging from whitish to rose, orange or greenish.